More than 6,700 lightning strikes were recorded Friday, August 26, through early Monday morning, August 29, in Grand Teton National Park, Bridger-Teton National Forest and the surrounding area. Numerous strikes ignited at least three new fires in the park and four new fires in the forest. Teton Interagency Dispatch Center received several smoke reports despite rain across much of the area on Sunday. Teton Interagency firefighters remain on alert for additional starts as weather conditions become breezy and drier. On Friday afternoon, fire crews suppressed a lightning-ignited fire in Grand Teton National Park. The Preserve Fire began near the Moose-Wilson Road on the Laurance S. Rockefeller Preserve and firefighters suppressed it at one tenth of an acre. Fire crews also worked to extinguish the Murphy Fire on the Grey’s River Ranger District of the Bridger-Teton National Forest. Visitors discovered that fire and attempted to put it out before reporting it to the Teton Interagency Dispatch Center. Lightning from a sequence of storms on Saturday ignited an additional two new fires in Grand Teton National Park and three new fires on the Bridger-Teton National Forest. Fire crews will monitor the Rockchuck and Burned Ridge fires, both of which started in the park. The Rockchuck Fire lies northwest of Jenny Lake and is burning in a small stand of conifers on Rockchuck Peak, about 1,000 feet below the summit ridge. Because it ignited in rocky, steep terrain surrounded by sparse vegetation, it has limited potential to spread; however, smoke is occasionally visible from some park locations. The Burned Ridge fire began in the duff and needle litter at the base of a single tree. It lies at the southern end of the Pothole about a half mile east of the Teton Park Road in an area where the natural process of fire is considered a management priority. Spread potential for this fire is also limited due to sparse vegetation. Crews from wildland fire engine of the Big Piney Ranger District on the Bridger-Teton National Forest are suppressing the Lime Fire, which may be visible from U.S. Highway 89. The Nowlin Fire, located in Nowlin Meadows within the Teton Wilderness on the Buffalo Ranger District, is 10 acres and burning in heavy dead timber with bug-killed trees. The tenth-acre Soda Fire is burning in similar fuels near the Nowlin Fire and began during the same storm. Fire managers flew these fires Sunday and will determine a management action plan. Due to other fire activity in the area, the wildland engine crew from Moose suppressed the single-tree, lightning-ignited Sheep Creek Fire in the Curtis Canyon area of the Jackson Ranger District. For local fire information, log on to www.tetonfires.com. To report a fire call 307.739.3630. LINK BACK TO OUR WEBSITES: www.wyolifestyle.com and www.wyovore.com. 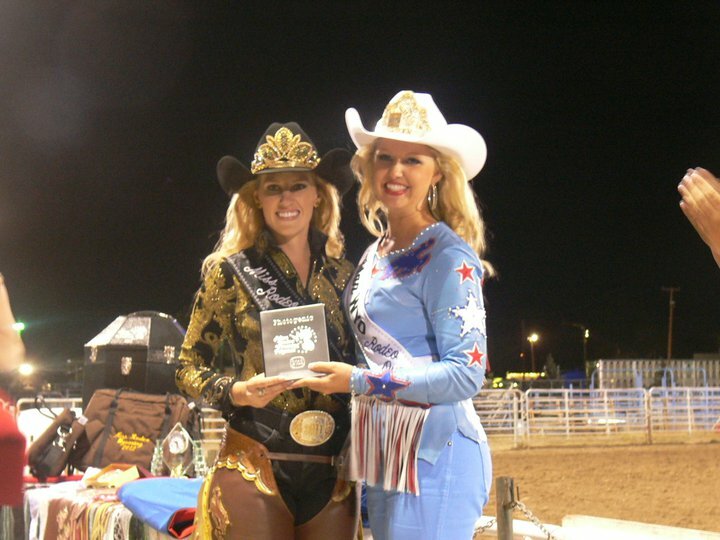 MISS RODEO WYOMING 2012 CROWNED! Kimberly Kuhn, Miss Sheridan-WYO of Laramie, took home the honors of Miss Rodeo Wyoming 2012. The Miss Rodeo Wyoming pageant was held in Douglas, WY August 16-20, 2011 during the Wyoming State Fair. There were 4 young women vying for the title of Miss Rodeo Wyoming 2012 from across the sate. Contestants included Desiree Bridges, Miss Teton County Fair and Rodeo from Jackson; Holly Kennedy, Miss Laramie Jubilee from Laramie; and Bailie Allshouse, Miss Cody Stampede of Cody. The contestants were judged by a panel of three highly qualified judges including Kent Sturman of Thornton, CO; Johna Niedfelt of Grand Island, NE; and Judy Rogers from Scottsbluff, NE. Brittany Richards, Miss Rodeo Wyoming 2011, was on hand for the awards ceremony. The Wyoming State Fair Director, James Goodrich, and Wyoming Director of Ag, Jason Fearneyhough, presented the saddle to Kimberly. Kimberly took home the categories of personality and appearance. She also won the sales achievement award, knowledge award, photogenic award, and the speech award. The first runner-up went to Holly Kennedy, Miss Laramie Jubilee of Laramie. Holly won the horsemanship category and the most ads sold at Wyoming State Fair award. The second runner-up went to Desiree Bridges, Miss Teton County Fair & Rodeo of Jackson. Bailie Allshouse, Miss Cody Stampede from Cody won the awards of congeniality and scrapbook. Kimberly Kuhn is the daughter of Pete and Vickie and calls Laramie home. A fifth generation ranch owner in Johnson and Sheridan counties and the Big Horn Mountains, Kimberly has been blessed to be raised a Wyoming cowgirl. She received her Bachelor of Science degree from the University of Wyoming in Agriculture Business with a minor in finance. She was a member of Delta Delta Delta Sorority, SPURS Honorary, Ag Ambassadors, UW Rodeo Team and was a recipient of the National Western Stock Show Scholarship. Kim is a member of Wyoming Rodeo Association, Mile-Hi Barrel Racing Association, Cowgirls of the West, and Big Horn Basque Club. She was honored to serve Cheyenne Frontier Days as Miss Frontier 2009, and was a leader of the CFD Dandies. Kim has earned her Gold Congressional Award and was commencement speaker at her high school graduation. She worked as a Student Page for the 59th Legislative Session and earned the Y.E.S. Award. Kimberly held many leadership positions in FFA, DECA and was a Varsity member of the Golf and Dance teams. She was also awarded the FFA Area Star in Agricultural Placement Award. She enjoys breakaway roping, running barrels, singing, golfing and spending time with her family. 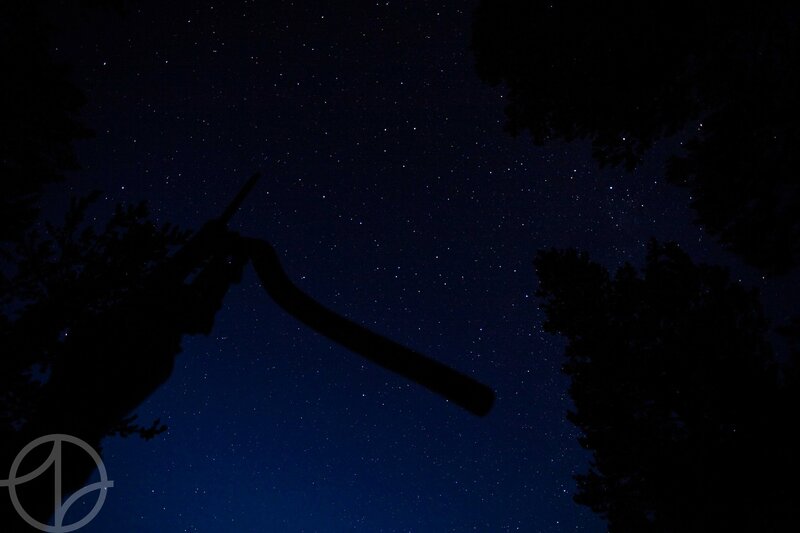 In another operation pushing darkness—the second in as many nights—Grand Teton National Park rangers rescued a 25-year-old female who fell about 25 feet while climbing a popular route in Death Canyon called The Snaz. On Saturday, August 20, Lauren McLean from Lake Oswego, Oregon sustained significant injuries when she fell because her belay system failed and landed feet first on a ledge at the base of the last pitch. A member of McLean’s climbing party notified Teton Interagency Dispatch Center of the incident at 4:50 p.m. via cell phone. Park rescue personnel immediately summoned a Teton Interagency contract helicopter to perform a reconnaissance flight to assess the situation. Due to McLean’s location, rangers devised two separate plans for McLean’s rescue; one option included spending the night with her on the cliff and the other option involved an evacuation before dark. Two rangers were inserted via short-haul just above McLean’s location a little before 8 p.m. One ranger rappelled down to McLean and determined that it would be possible to fly her off the ledge that night. The ranger then stabilized McLean’s injuries and provided emergency medical care before preparing her for a short-haul flight in an aerial evacuation suit. McLean was flown from The Snaz to the historic White Grass Dude Ranch that sits just east of Death Canyon. A park ambulance met the helicopter in a meadow near the ranch buildings and transported McLean to St. John’s Medical Center in Jackson for further treatment. McLean was subsequently flown to the University of Utah Medical Center in Salt Lake City, Utah for additional medical care. McLean’s two climbing partners decided to hike out of Death Canyon on Saturday night. One ranger spent the night on a ledge of the cliff face in order to assist in flying off rescue equipment and other gear early Sunday morning. The Snaz is one of the most popular climbs in Death Canyon, and is usually completed in nine pitches. It is rated a 5.9 on the Yosemite Decimal System, a set of numeric ratings describing the difficulty of climbs. From Sandy: Rock Creek Trail in the summer is gorgeous! From Jenny: Snowy Range in Fall and Summer/ Vedauwoo in fall and summer. From Bob: If I keep it to “non-Yellowstone” hikes, I like Bucking Mule Falls in the Bighorns off of 14A. From Lori: Hiking in the Wind Rivers is an indescribable experience! Have one to add? We’d love to hear from you! We’ll add your comment to this blog post! 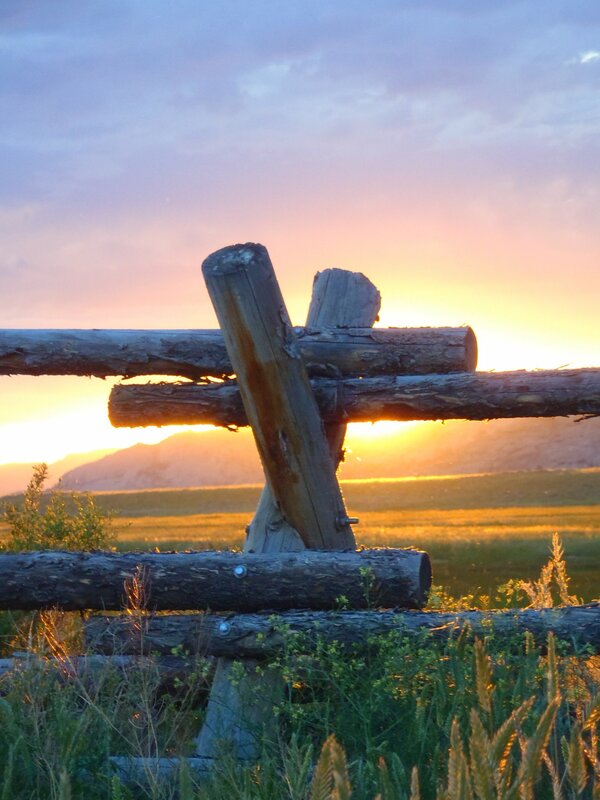 ‘Til Next Time…Stay tuned to our social media pages for more opportunities to weigh in on your favorite WY places! Visit us on Facebook, or check us on Twitter @wyolifestylemag! WY Camping Recommendations — From the Fans! THANKS guys!!! Do you have more suggestions? We’d love to hear them! Email us at editor@wyolifestyle.com, post on our Facebook page for Wyoming Lifestyle Magazine or Wyovore (our bookstore version!) or give us a tweet at @wyolifestylemag or @wyovore!